At present one of Charlottesville’s most successful private companies, SHINE Systems (SHINE) was first established in 2007 by President Jeff Thomas as a full-service decision analytics consulting company with just five employees. Today, with a leadership team possessing over 150 years of combined intelligence and project management experience, we have grown to over 50 employees spread across the globe. Our focus today has expanded to offer not only decision analysis services but also technology integration and mission support services. These values have guided SHINE Systems to the success it’s experiencing today. They have allowed our company to construct a positive work environment for our employees that radiates throughout our daily interactions with partners and customers. SHINE Systems’ winning atmosphere and culture all began with our first $10M federal contract for the National Ground Intelligence Center (NGIC) as a subcontractor to Science Applications International Corporation (SAIC). It was this contract that secured SHINE Systems’ place as a trusted provider of intelligence solutions to the US government. With our second contract, SHINE Systems won business with the Counter Insurgency Targeting Program (CITP). As part of this contract, SHINE Systems teams were deployed to Iraq and Afghanistan to fulfill obligations through 2013. Then in 2012, we secured our third major contract. This time as a Certified Palantir Service Provider and Palantir Partner on a $19M contract to provide training and End User Support for the US Armed Forces and multiple Fortune 100 corporations. 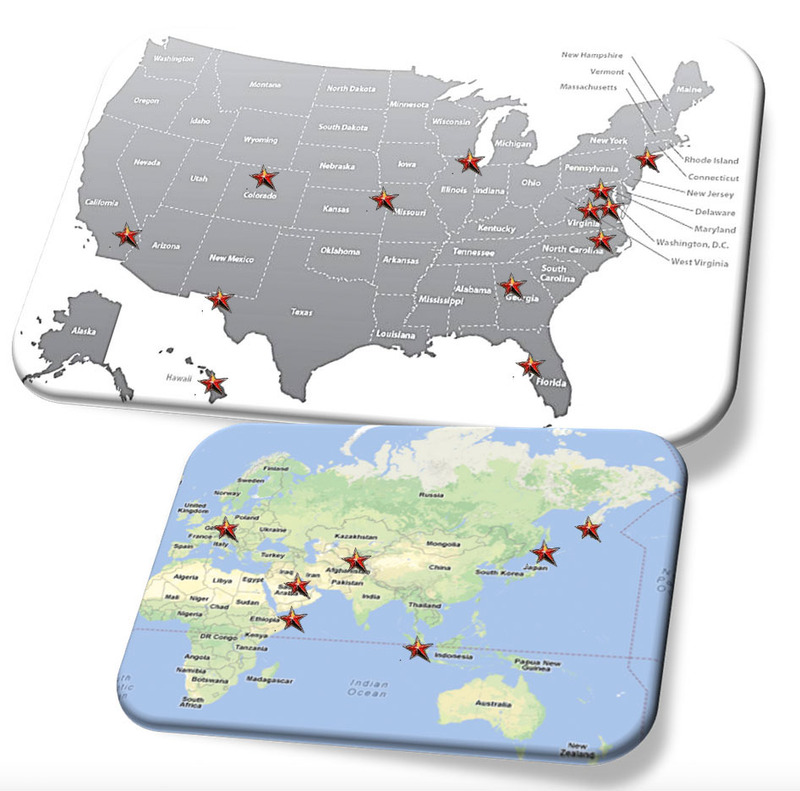 SHINE Systems has office locations across the United States and the world. SHINE Systems teams work in DC, Virginia, North Carolina, Florida, California, Illinois, Missouri, Colorado, New York, Hawaii, and Texas. And internationally we’ve sent past and current teams to Singapore, Afghanistan, Germany, Japan, South Korea, Djibouti, Bahrain, Iraq, and Mexico. Along the way, we’ve developed unique ways of serving our customers. One of these, and the one we are most proud of is our HUBZone Certification. Currently, we are one of the few intelligence service contractors in the country with this important designation, and we help federal agencies meet allocation goals while also supporting under-represented business zones throughout Virginia. 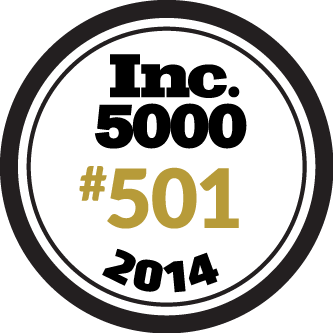 For four years running (2013, 2014, 2015, and 2016), Inc. Magazine has recognized SHINE Systems’ growth with rankings on their “Fastest Growing Private Companies” lists. 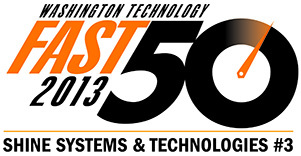 We also ranked #3 on the Washington Technology’s “Fast 50” 2013 list. Additionally in 2013, SHINE Systems won a service category award from the Tayloe Murphy Resilience Awards, a program sponsored by the University of Virginia Darden School of Business’ Institute for Business in Society. It’s been an exciting journey so far—and we invite you to join us as an employee, partner, or customer to discover where you can go with SHINE Systems.